Rangers midfielder Andrew Halliday has admitted his eagerness to see a deal for Hibernian’s Scott Allan secured before the the start of September. Halliday, who grew up with Allan in Glasgow, called him his “best pal”, and said he would love to see his fellow Rangers fan at the club. Mark Warburton has offered another insight into the tough regime he has begun to put in place at Rangers by warning his squad that he will monitor their social media channels. 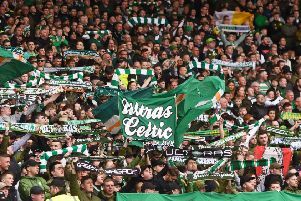 John Collins, the Celtic assistant manager, has said that his side’s Scottish Premiership rivals are not good enough to adequately prepare them for European competition because they’re neither clever enough nor quick enough. Collins, speaking ahead of Celtic’s Champions League qualifier against Swedish side Malmo, said that while his side could afford to be “gung-ho” domestically, European football is less forgiving of openness. Partick Thistle defender Ryan Stevenson reckons Virgil van Dijk is the best defender he’s ever played against. Stevenson says the 24-year-old is so good that the Dutchman is destined to flourish when he eventually moves on to a club in England or the continent. Mikael Lustig wants to feed Age Hareide’s words back to him after the Malmo boss boasted several months ago that his team were better than Celtic and Norwegian side Rosenborg. The Celtic defender was happy to ignore Hareide’s comments, but now that the two teams are set to face each other in European competition Lustig thinks it will present a good opportunity to settle a score. Derek McInnes has praised Aberdeen striker David Goodwillie for becoming a smarter, technically better player than the one who left Dundee United for Blackburn five years ago for nearly £3 million. The Aberdeen manager was a former team-mate of Goodwillie at Dundee United and has seen first-hand the improvement in the Scotland striker’s game. “David is a better player now than the one that went down south. He went there on goals and potential and I think he was a bit damaged by the experience.